If you need a cash advance, also known as a payday loan, you may have some unanswered questions. 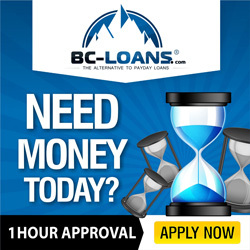 A payday loan is short-term financing that you can obtain without a credit check. The money is often sought for financial emergencies. So, if you are thinking of using the money for short-term vacation plans, you’d be better off taking out a personal loan, acquiring a second mortgage, or asking for the money from a trusted family member or friend. Payday loans are often advised for people with bad credit or individuals who have not yet established a credit profile. Most people who ask for this kind of cash advance usually, because of their credit situation, are unable to go to a bank. In order to obtain an advance, you’ll need to supply your citizenship status, prove that you are 18 years or older, currently work at a job, make at least $1,200 per month, and have direct deposit. If you meet these criteria and you really do need the money for such emergencies as a car repair or an electrical outage, then by all means apply. The process merely encompasses filling out your personal details onto a form before you are considered for approval. Once approved, the money you borrow will be deposited into your account. Most people who take out a cash advance need to catch up on bills, all which can help your credit rating, provided you pay the cash advance back on the due date. A cash advance is an emergency back-up. So, you want to make sure you can pay back the loan in the seven or 14-day timeframe. In most cases, you won’t have to fax or print your application for the advance. Still, you will need access to a copier to print out the details of the loan for your records. The cost of the advance is dependent on how long you take out the financing and the amount of interest being charged. While the interest rate is high, you won’t find the loan amount excessive if you make a concerted effort to pay the loan back on the next payday. To make it easier, the loan amount and any fees are taken out of your bank account by automatic withdrawal. Therefore, in order to pay back the loan, you won’t have to make any visits to the lender or make a payment by mail. Extensions can be requested too if you need additional time to pay back the amount. If you are late on a payment and don’t ask for an extension, then you’ll normally be assessed a late charge for your tardiness.